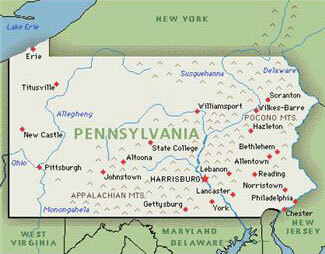 Welcome to kingsnake.com's local classifieds for the state of Pennsylvania Online since 1997, kingsnake.com's classifieds are among the oldest and largest pet classifieds on the web and reach thousands of reptile and amphibian owners worldwide every day. Below you will find reptile & amphibians, cages, food, supplies and more for sale posted by advertisers in the state of Pennsylvania. These ads are pulled from the main kingsnake.com site and are displayed here geograpically. To see all of kingsnake.com's reptile & amphibian classified ads by category, click here. You will need to purchase an account in order to post (not to view) an advertisement here. To purchase a new account to post advertisements click here. To renew an existing or an expired account please click here. All advertisements posted are subject to our Terms of Service contract and may be edited, moved, or removed at the staff's discretion. 04/20/19 2018 Hypo 66% pos het Sterling U.S.A.
04/20/19 2018 hypo het Sterlings U.S.A.
04/19/19 2018 Hypo Sterlings U.S.A.
04/19/19 2018 100% het Sterlings U.S.A.
04/19/19 2017 Male Leopard, 66% pos het Costa Rican T+ U.S.A.
04/19/19 2018 66% pos het Sterling U.S.A.
04/19/19 2017 100% het Sterling male U.S.A.